Iron(II) sulfate (British English: iron(II) sulphate) or ferrous sulfate denotes a range of salts with the formula FeSO4·xH2O. These compounds exist most commonly as the heptahydrate (x = 7) but are known for several values of x. The hydrated form is used medically to treat iron deficiency, and also for industrial applications. Known since ancient times as copperas and as green vitriol (vitriol is an archaic name for sulfate), the blue-green heptahydrate (hydrate with 7 molecules of water) is the most common form of this material. All the iron(II) sulfates dissolve in water to give the same aquo complex [Fe(H2O)6]2+, which has octahedral molecular geometry and is paramagnetic. The name copperas dates from times when the copper(II) sulfate was known as blue copperas, and perhaps in analogy, iron(II) and zinc sulfate were known respectively as green and white copperas. A reducing agent is an element or compound that loses an electron to another chemical species in a redox chemical reaction. Since the reducing agent is losing electrons, it is said to have been oxidized. Magnetite is a rock mineral and one of the main iron ores, with the chemical formula Fe3O4. It is one of the oxides of iron, and is ferrimagnetic; it is attracted to a magnet and can be magnetized to become a permanent magnet itself. It is the most magnetic of all the naturally-occurring minerals on Earth. Naturally-magnetized pieces of magnetite, called lodestone, will attract small pieces of iron, which is how ancient peoples first discovered the property of magnetism. Today it is mined as iron ore.
Iron(III) chloride, also called ferric chloride, is an industrial scale commodity chemical compound, with the formula FeCl3 and with iron in the +3 oxidation state. The colour of iron(III) chloride crystals depends on the viewing angle: by reflected light the crystals appear dark green, but by transmitted light they appear purple-red. Anhydrous iron(III) chloride is deliquescent, forming hydrated hydrogen chloride mists in moist air. It is rarely observed in its natural form, the mineral molysite, known mainly from some fumaroles. Iron(II) oxide or ferrous oxide is the inorganic compound with the formula FeO. Its mineral form is known as wüstite. One of several iron oxides, it is a black-colored powder that is sometimes confused with rust, the latter of which consists of hydrated iron(III) oxide. Iron(II) oxide also refers to a family of related non-stoichiometric compounds, which are typically iron deficient with compositions ranging from Fe0.84O to Fe0.95O. The Atchison, Topeka and Santa Fe Railway, often referred to as the Santa Fe or AT&SF, was one of the larger railroads in the United States. Chartered in February 1859, the railroad reached the Kansas-Colorado border in 1873 and Pueblo, Colorado, in 1876. To create a demand for its services, the railroad set up real estate offices and sold farm land from the land grants that it was awarded by Congress. Despite the name, its main line never served Santa Fe, New Mexico, as the terrain was too difficult; the town ultimately was reached by a branch line from Lamy. Maghemite (Fe2O3, γ-Fe2O3) is a member of the family of iron oxides. It has the same spinel ferrite structure as magnetite and is also ferrimagnetic. Iron(II,III) oxide is the chemical compound with formula Fe3O4. It occurs in nature as the mineral magnetite. It is one of a number of iron oxides, the others being iron(II) oxide (FeO), which is rare, and iron(III) oxide (Fe2O3) also known as hematite. It contains both Fe2+ and Fe3+ ions and is sometimes formulated as FeO ∙ Fe2O3. This iron oxide is encountered in the laboratory as a black powder. It exhibits permanent magnetism and is ferrimagnetic, but is sometimes incorrectly described as ferromagnetic. Its most extensive use is as a black pigment. For this purpose, it is synthesised rather than being extracted from the naturally occurring mineral as the particle size and shape can be varied by the method of production. The Hyundai Santa Fe is a sport utility vehicle (SUV) produced by the South Korean manufacturer Hyundai since 2000. It is named after the city of Santa Fe, New Mexico, and was introduced for the 2001 model year as Hyundai's first SUV, released at the same time as the Ford Escape and Pontiac Aztek. The Santa Fe was a milestone in the company's restructuring program of the late 1990s because the SUV was a hit with American buyers. The SUV was so popular that at times, Hyundai had trouble supplying the demand. The Santa Fe quickly became Hyundai's best seller and contributed to Hyundai's success in the United States. Between 2007 and 2012, the Santa Fe fell between the slightly smaller compact crossover Tucson and the larger, yet related luxury crossover SUV Veracruz. Independiente Santa Fe, known simply as Santa Fe, is a professional Colombian football team based in Bogotá, that currently plays in the Categoría Primera A. They play their home games at the El Campín stadium. Santa Fe is one of the three most successful teams in Colombia, winning seventeen titles, which includes 9 national championships, three Superliga Colombiana, two Copas Colombia, and international titles such as one Copa Sudamericana, one Suruga Bank Championship, and one Copa Simón Bolívar. Santa Fe is one of the three clubs that has played every championship in the Categoría Primera A. 4 is finding a number of roles in vehicle use, utility scale stationary applications, and backup power. Santa Fe is the capital of the U.S. state of New Mexico. It is the fourth-largest city in the state and the seat of Santa Fe County. Magnetic mineralogy is the study of the magnetic properties of minerals. The contribution of a mineral to the total magnetism of a rock depends strongly on the type of magnetic order or disorder. Magnetically disordered minerals contribute a weak magnetism and have no remanence. The more important minerals for rock magnetism are the minerals that can be magnetically ordered, at least at some temperatures. 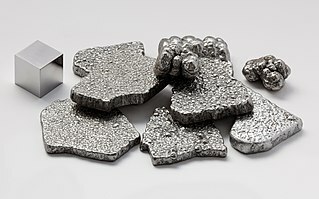 These are the ferromagnets, ferrimagnets and certain kinds of antiferromagnets. These minerals have a much stronger response to the field and can have a remanence. ↑ "Titanomagnetite". Min-dat.org. Retrieved 2 March 2017. ↑ A Dictionary of Geology and Earth Sciences (4 ed.). Oxford University Press. 2013. p. 461.